What do the words ‘hurricane,’ ‘complicit,’ ’empathy,’ and ‘gyro’ all have in common? If you are unsure, don’t call yourself a ‘dotard.’ They were all Merriam-Webster “Words of the Year” in 2017! Join us for a celebration of words and language on Saturday, April 14, 2018, at the Noah Webster House & West Hartford Historical Society’s 9th annual Webster’s War of the Words! If that is not cause enough to ‘humblebrag’ around town, we just don’t know what is. 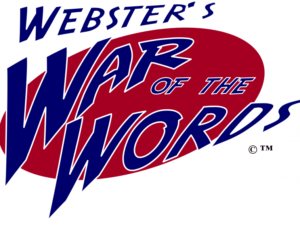 Webster’s War of the Words is the definition of dinner and a show. This signature fundraiser comes complete with dinner, unlimited beer and wine, fabulous silent and live auction items, and the main attraction – the game show! Words are more important than ever. If you’ve been following current events, words like ‘allegory,’ ‘syzygy,’ and ‘Kafkaesque’ might take on a special meaning for you. Then there are old-fashioned words like ‘popinjay’ and ‘calumny’ that have recently made a come-back. 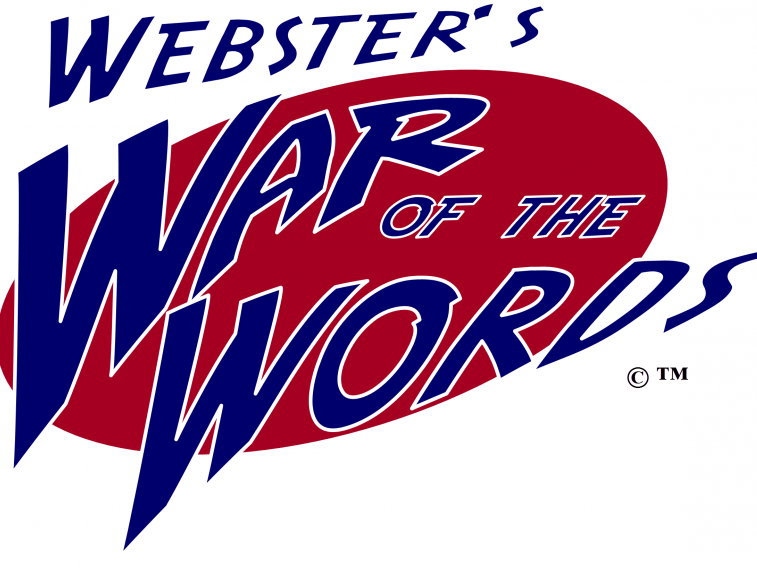 At Webster’s War of the Words, Merriam-Webster’s Editor at Large, Peter Sokolowski, will test the knowledge of two teams of local celebrities – and the audience – in a lively and interactive battle of words and wit. The “Year of Noah Webster” is upon us. In 2018, we celebrate Webster’s 260th birthday, the 190th publication anniversary of his American Dictionary of the English Language, and commemorate the 175th anniversary of his death. Dates rarely line up so nicely, and the Noah Webster House & West Hartford Historical Society is celebrating with a group of contestants you won’t want to miss. The event will take place from 6-9 p.m. at Congregation Beth Israel, 701 Farmington Avenue in West Hartford. STAY TUNED: More details will be revealed as the date approaches!